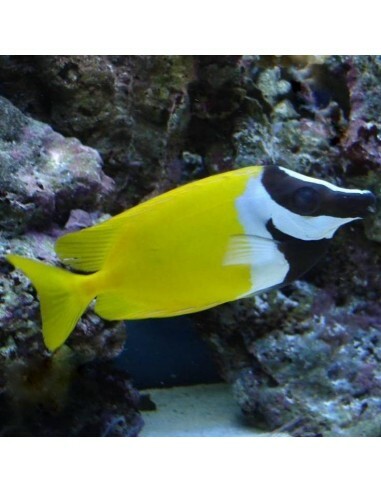 The foxface is a beautiful and active marine fish which is kept best in a larger marine aquarium, over 100 gallons at least. His daily diet consists of a variety of seaweed and algae, as he is a herbivore fish. They are a great addition to keep control of unwanted micro algae in the tank, and he will welcome a lot of the macro algae we offer. The Foxface is known as reef safe as long as they are well fed. If not he might nip on some soft or hard coral. It is recommended to get the macro algae growing in the sump first to avoid losing them. 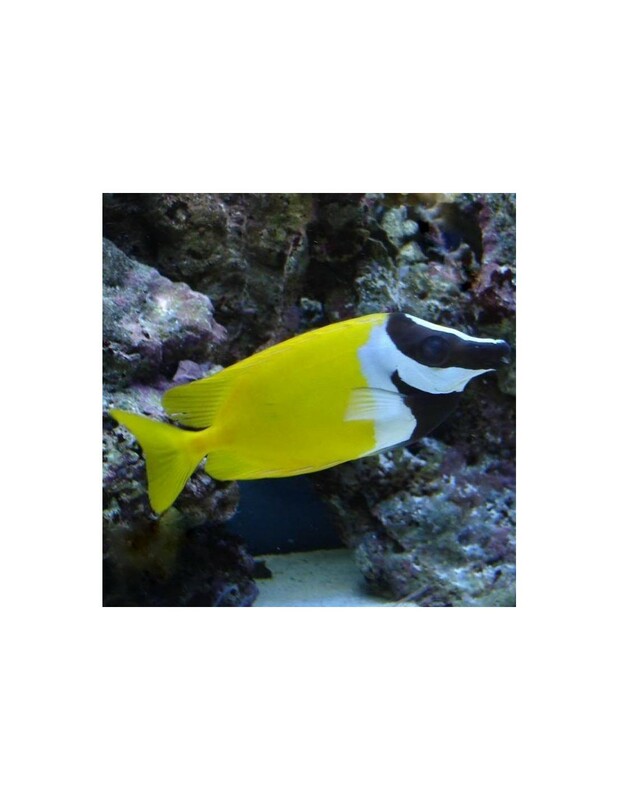 We recommend especially the macro algae listed HERE for this fish to keep him happy and healthy in the aquarium. In addition, some dried Nori Algae and other herbivore food is a very welcome supplement for him.